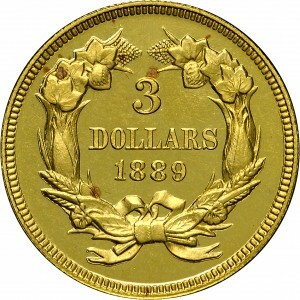 This issue marks the end of the three-dollar gold coin denomination. 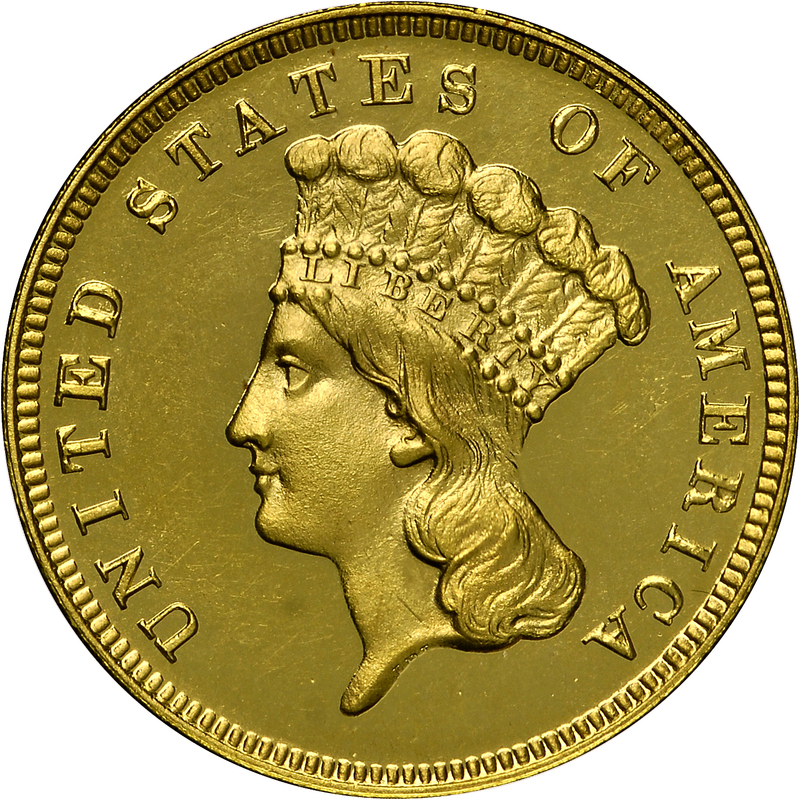 Total mintage included 129 Proofs and 2,300 circulation strikes, although a number of the latter were reportedly melted at the Mint, according to S.H. Chapman in his 1907 auction catalogue of the David S. Wilson Collection. Proof examples are quite rare today, almost never appearing in the market place. From Stack's sale of the DiBello Collection, May 1970, Lot 793. 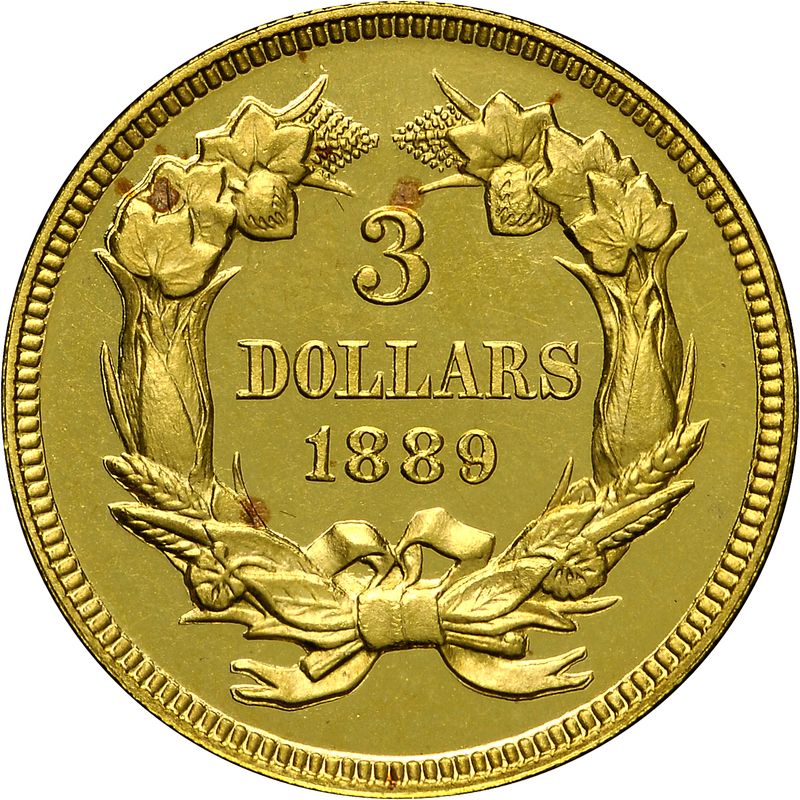 (adapted): "Obverse: Half of J.B.L. visible. Top of R filled. R appears to have rust lump on outer curve at top. Mirrored pool on neck at hair. Roughness behind head is in die. Reverse: Date centered, canted markedly down to right. Second 8 centered under foot of second L."